to houses and mail boxes are the most efficient form of advertising for them. Not only is it much cheaper than traditional form of advertising ,flyers are the most direct form of advertising one's business services to potential customers in their residences. However, such flyers distribution can be disturbing to some householders as some do not want these flyers to be in their house / mailbox. Anther potential problem of such flyers could lead to criminal activities if the presence of uncollected flyers is an indication of owner abscence. Lastly,some advertisers stick their ads at locations like letter boxes, bus stop shelter pillars, pvc pipes outside homes,etc. 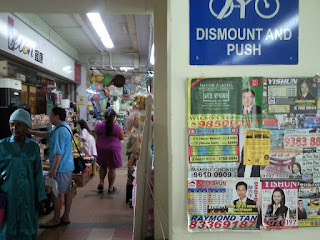 To tackle junk mail and fliers problems above, Hdb estates and LTA came up with innovative method to reduce junk mails. One method is to employ the use of notice boards. There are now some hdb estates in Singapore erecting notice boards for posting of ads. designated bus stops shelter notice boards. 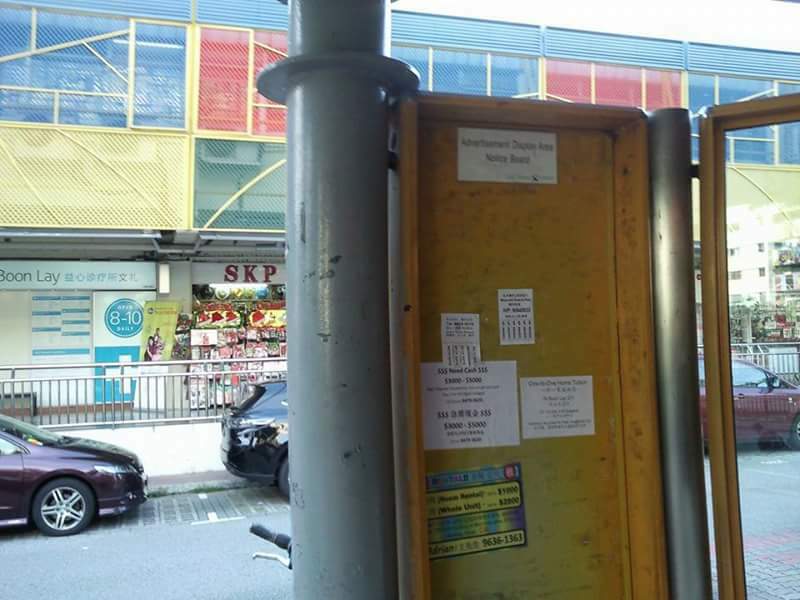 Only ads posted within the area of notice board is allowed.